Kelly Schweida has trained his first winner for prominent owner-breeder Gerry Harvey. 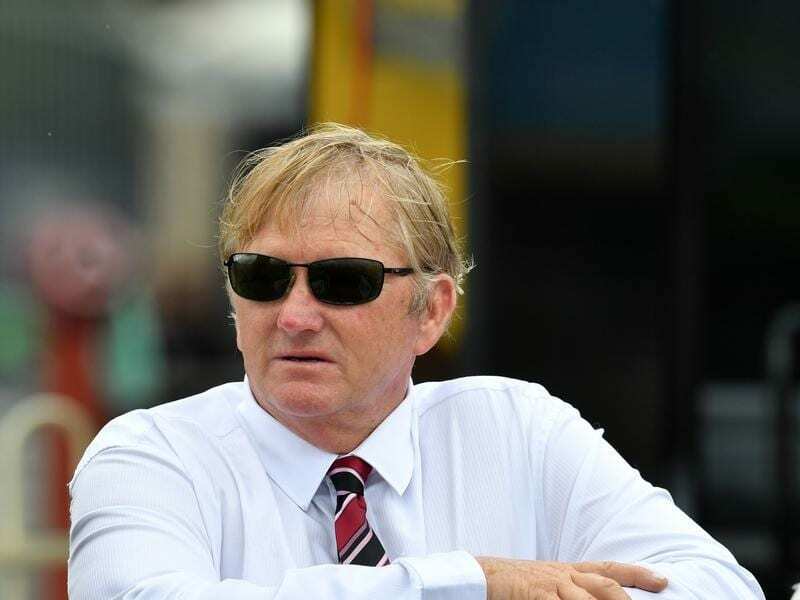 Eagle Farm trainer Kelly Schweida rarely gets emotional but he admits he was upset when he lost a promising colt to colic last year. Schweida had paid $85,000 for the colt by Testa Rossa out of the Elusive Quality mare Pure Beauty at the 2017 Magic Millions yearling sales. “I really liked him and had high hopes for him. I was genuinely upset when I lost him to a colic attack,” Schweida said. It was why he was excited when leading owner-breeder Gerry Harvey’s racing manager Claire Bird rang him to take the colt’s older half-sister by recently deceased Redoutes Choice, Flower Of Love. The mare had six starts for three minor placings when trained by Chris Waller before heading to Schweida. Flower Of Love ($2.20) made sure she didn’t stay a maiden winning by nine lengths for Schweida at Doomben on Wednesday. “I have had horses for Gerry before but just to get ready for breeze-ups,” Schweida said. Another big winner Vega One ($1.22) confirmed the boom around Gold Coast horse Millard Reaction when he also scored by nine lengths. Millard Reaction, who is headed to Sydney to tackle stakes races, ran down Vega One at his previous start. “I wasn’t surprised he won like that today. But to be honest I was surprised he got beaten by Millard Reaction who has since franked the form winning last Saturday,” winning trainer Tony Gollan said. Handy mare Coral Coast ($2.20) appreciated a wet track and stepping up to 2200m to score an easy win. Coral Coast is now on the Sunshine Coast with David Vandyke but was trained by Victoria’s Anthony Freedman when she ran fourth in the Queensland Oaks (2200m).